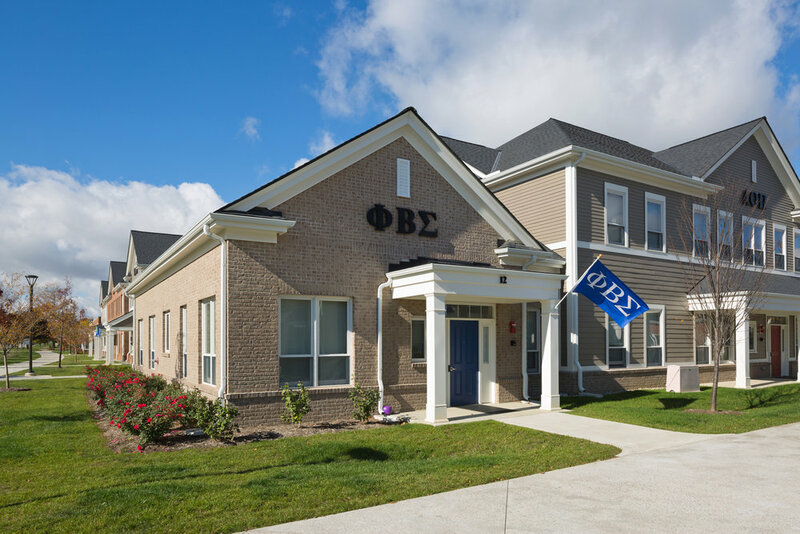 With nearly 1,500 fraternity and sorority chapter members, Bowling Green State University has a vibrant Greek community. In order to enhance the experience for these students, BGSU decided that they needed to address their aging housing system. 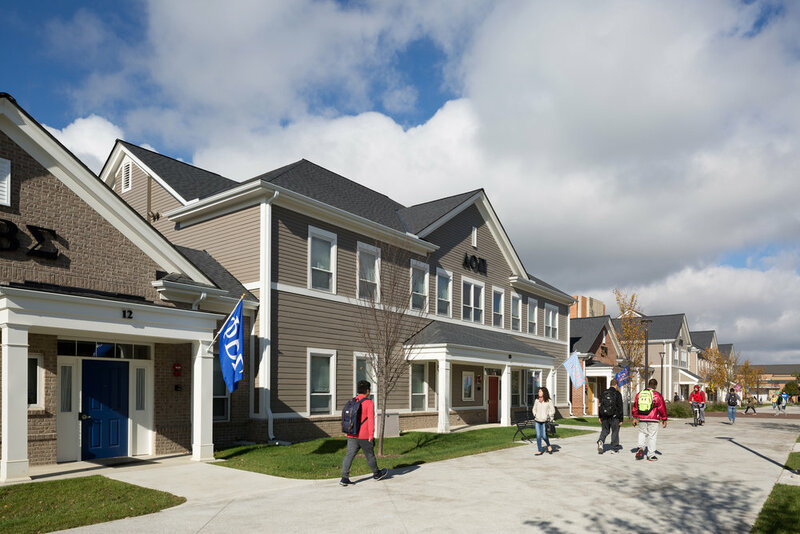 Schooley Caldwell served as the architect on the Design/Build team (along with Elford Construction and CBT, the Design Architect) for this project, which involved replacing all of the Greek housing on campus with new townhouses. 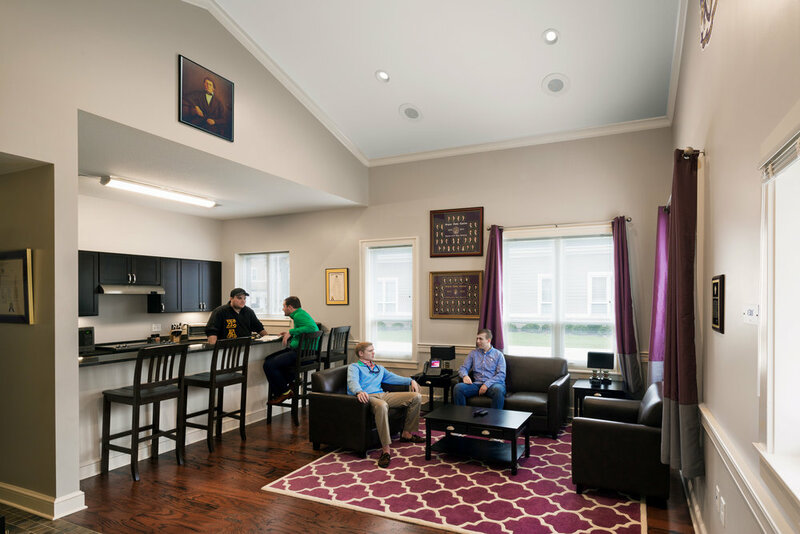 The $30 million project included new housing to accommodate thirty Greek chapters with a total of 426 new resident beds. There are three different sizes of townhouses: 4-bed, 12-bed, and 18-bed. All townhouses include kitchens and laundry facilities, and the 12- and 18-bed units also include a large common space for chapter activities and meetings, and are fully accessible via residential elevators. 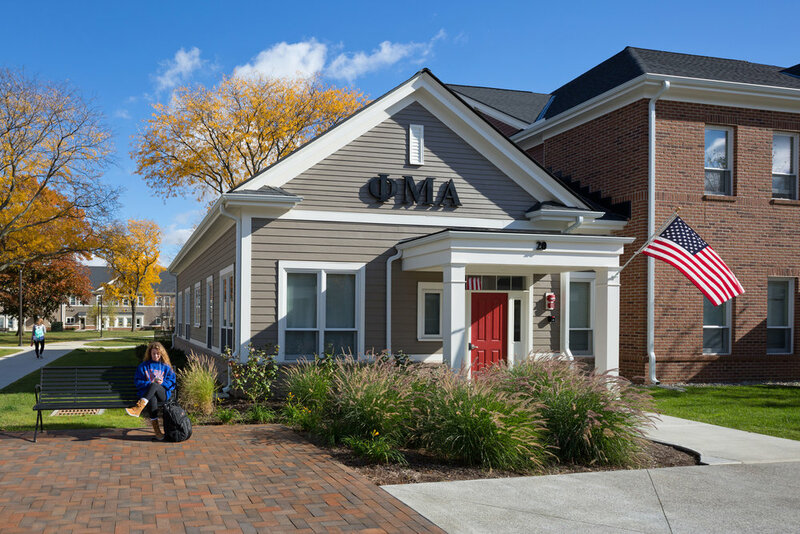 The houses are configured in such a way as to encourage students to engage with other members of the Greek community in shared courtyards and outdoor spaces. Construction was completed in the fall of 2016, and the project exceeded its goal of LEED Silver, achieving LEED Gold in the spring of 2017.